We stayed in Whistler Village, which is the main area where hotels, restaurants, shopping, and gondolas to take you up the mountains are all in walking distance. Vancouver is such a huge city that it's refreshing to be able to walk to everything in this cute village. Naturally, there's a lot of touristy shops here with things like $10,000 geodes on display. I've also noticed that very "Vancouver" stores like TNA/Aritzia, lululemon, and Roots have a strong presence here. 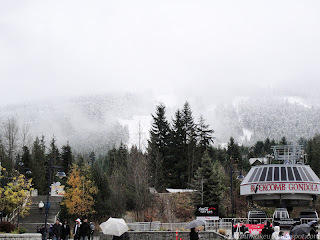 Whistler Mountain officially opened for snow season the weekend we arrived. 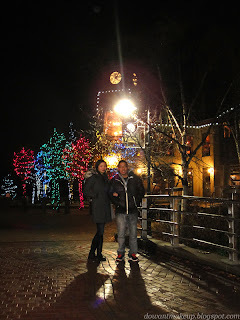 This was kind of a minor detail for us, since we were there just to hang out and get away for a bit; skiing and snowboarding definitely weren't in the budget! This probably sounds weird to people living anywhere else in Canada or any non-Canadians that believe we all live in igloos, but we don't experience much snow in Vancouver, so it was nice to see snow-dusted trees and mountains closer-up. 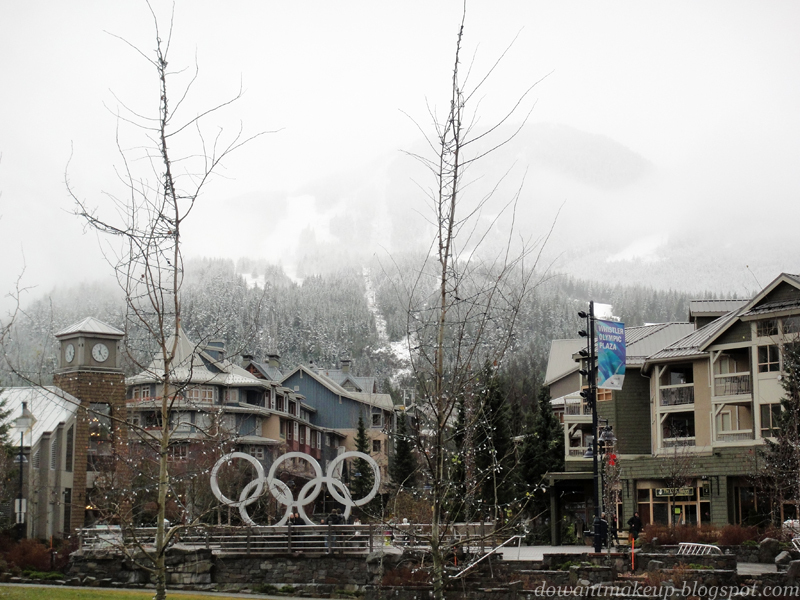 Being a tourist destination, pretty much everything about Whistler Village is expensive, including the restaurants. We decided to save some money by going for a hotel room with a full kitchen (we'll use "full" loosely here...) and bringing along groceries to cook most of our meals. 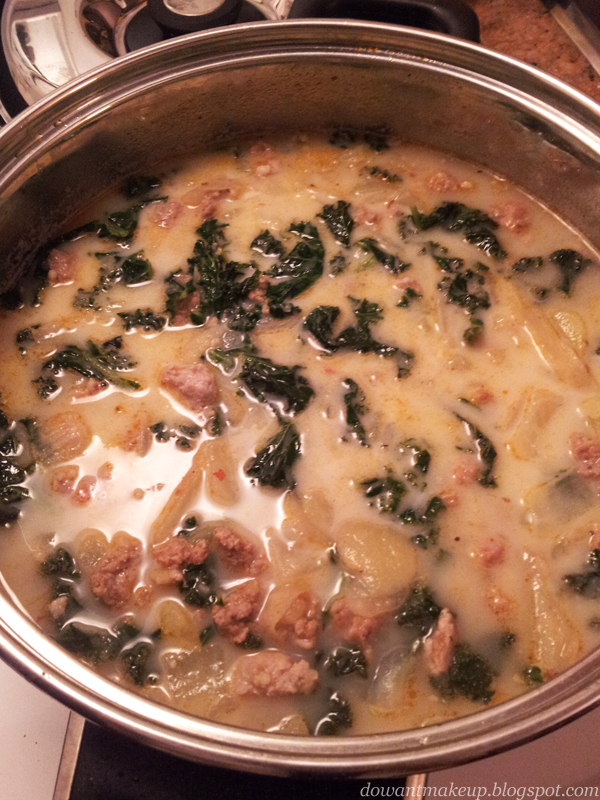 I made a rip-off of Olive Garden's Zuppa Toscana for dinner one night. It's spicy, filling, and satisfying, all the things you'd want in a meal after traipsing around in the cold! 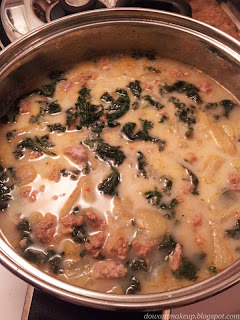 My friends liked it so much, I was forced swayed into making it again for breakfast on our last day. ... Unfortunately, all the cooking and cleaning I did wreaked total havoc on the fresh polish I applied the night before we left ;__; I was really loving butter London's All Hail The Queen, too! This is the photo I took in crappy hotel lighting after realizing my mani would not survive the trip. 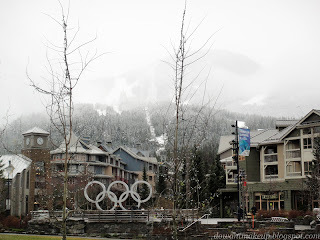 Not all eats in Whistler were out of budget, happily. Bf and I stumbled onto 21 Steps on our last trip here while hunting for food late at night. 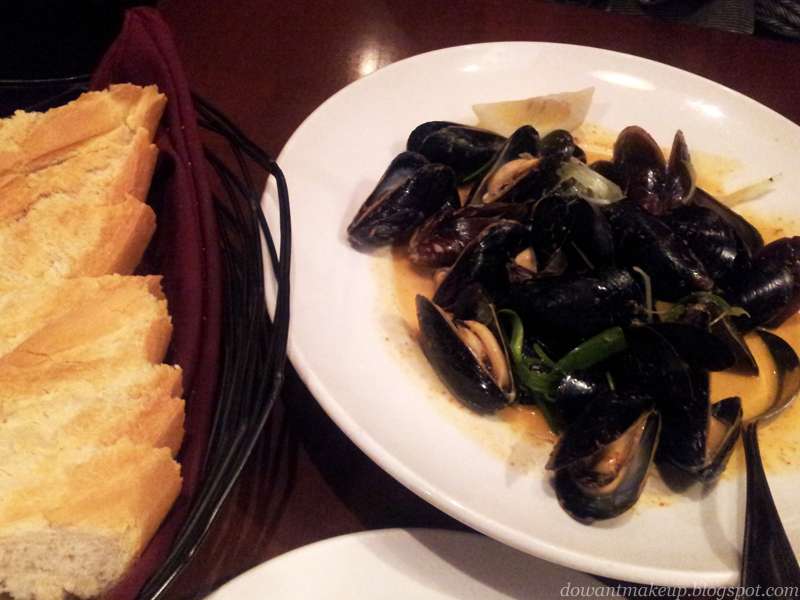 The white wine mussels we had before were so good, we were determined to visit again. This time, we tried the Thai curry mussels. With crusty bread on the side, it is a perfect light meal for two, and would be a great deal even in Vancouver at $12. The broth/sauce was so delicious I just wanted to ask for a bowl of rice to dump in to absorb it all up. 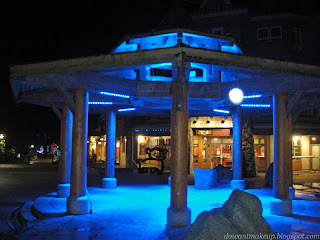 While walking around at night, we spotted a bear wandering right in the Village! (Please note the artistic depiction of roughly where the bear was.) This is apparently not at all that uncommon, especially closer to winter when bears really need to find food. We were all very excited to see our first bear, although it was a bit sad to hear that our friend probably wouldn't last the winter. Fun fact: I am practically incapable of producing heat beyond whatever is just enough to keep me alive. Bf likes this in the summer because my hands/feet are cold, but doesn't want to be anywhere near me in the winter. I foolishly forgot to bring a warm knitted hat or even gloves! At least I brought my winter parka. TNA Aspen is super warm with faux fur lining but isn't bulky--basically one of the best things I've bought ever. I brought along my A-game skin care products to make sure my face didn't become a flaky, angry mess in the colder Whistler weather. 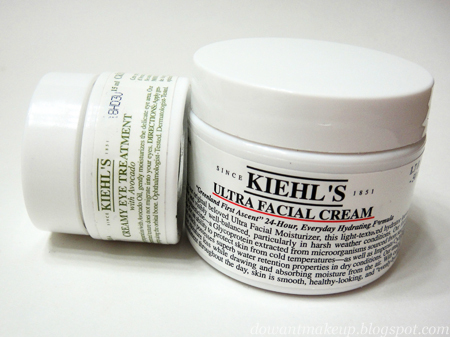 Kiehl's Ultra Facial Cream is super moisturizing and always kind to my skin even when my eczema is flaring up. Creamy Eye Treatment with Avocado is the richest eye cream I've ever tried, and does an amazing job for my extra-dry undereye area.